Identification: Fringes are checkered. 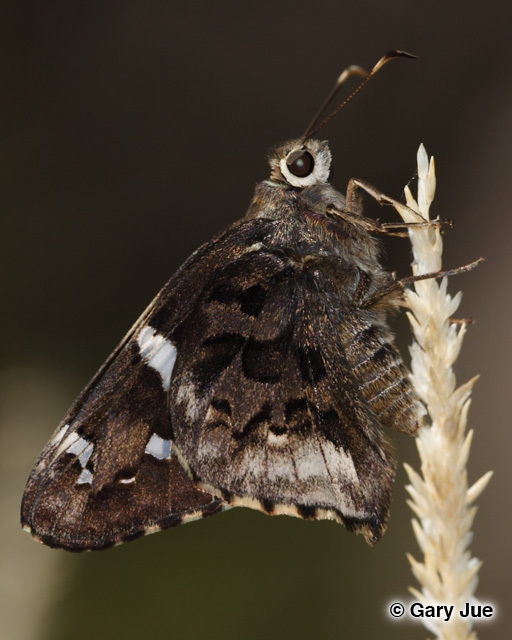 Upperside is dark brown; hindwing has an olive-brown overlay. 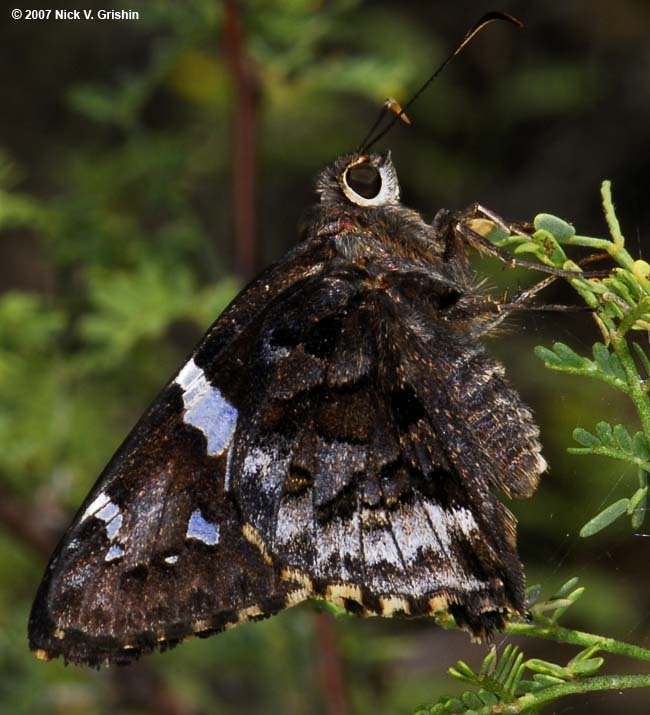 Forewing median band consists of 4 large shiny white spots both above and below. Underside of hindwing has gray overscales on the outer third and 2 irregular dark bands. Wing Span: 1 3/4 - 2 inches (4.5 - 5.1 cm). Life History: Males are highly territorial and perch on shrub branches. Flight: Several flights in Mexico from April-October. Caterpillar Hosts: Tahitian kidneywood (Eysenhardtia orthocarpa) in the pea family (Fabaceae). Habitat: Usually near water in desert mountains, canyons, and washes. Range: Southern Arizona, west Texas, and Mexico.